We’d love your help. 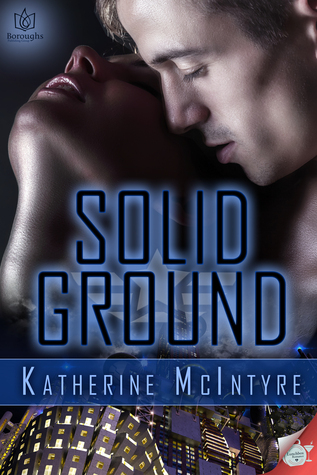 Let us know what’s wrong with this preview of Solid Ground by Katherine McIntyre. To ask other readers questions about Solid Ground, please sign up. I wish it was longer! I love quick little stories like this, but sometimes they really leaving me wanting more...and that's how I feel about this one! I'd love to see Mags and Lex in the future- to see how their jobs are going, to see how they are dealing with eveything, and coping with the distance between them. In such a short amount of time I found myself really invested in these characters. It's graduation and Mags, the workaholic she is, hasn't made many friends or let Lex, her long time best friend and he who knows her best, turn into more than a friend. And not b/c she stuck him in "friend zone". She just wanted to spare them both the heartache since she was going into the ambassador's program and he was going into infantry. After her small going away gathering, Mags and Lex hang out on last time, the evening before she is set to board her ship. While it didn't go as far as I was hoping, they do admit their feelings for one another. Short and sweet. The story is about self-doubt, regrets and the bittersweet joy of getting out of your own way. Mags and Lex both loved each other and were afraid to tell each other for fear of losing their friendship. The story seems to end on a happy for now, but to me, it's a "too late" because it's the night before they part, possibly forever. It was nicely written. No external conflicts really. Not a lot happens. The plot could be the seed of a really good novel. But as a short story it's m Short and sweet. The story is about self-doubt, regrets and the bittersweet joy of getting out of your own way. Mags and Lex both loved each other and were afraid to tell each other for fear of losing their friendship. The story seems to end on a happy for now, but to me, it's a "too late" because it's the night before they part, possibly forever. This was a very wonderful short story! Watching two friends realize there is more to their relationship is always interesting to see unfold. Mags and Lex are forced to make a difficult decision on their last days together at the academy when their assignments will separate the two, just as they realize the things they have left unsaid. Watching the moments weigh the two of them down is powerful as it reminds us all of the difficult moments we share that could ultimately change the directions our This was a very wonderful short story! Watching two friends realize there is more to their relationship is always interesting to see unfold. Mags and Lex are forced to make a difficult decision on their last days together at the academy when their assignments will separate the two, just as they realize the things they have left unsaid. Watching the moments weigh the two of them down is powerful as it reminds us all of the difficult moments we share that could ultimately change the directions our lives will go. Oh thank god this wasn't any longer than 26 pages, I don't think I could've read more of their "love". I feel lied to. I feel like they gave me something in the cover and then something completely different in the book. You look at the cover and think oh boy oh boy, I better read this when no one's around me. Well, you couldn't be more mistaken. 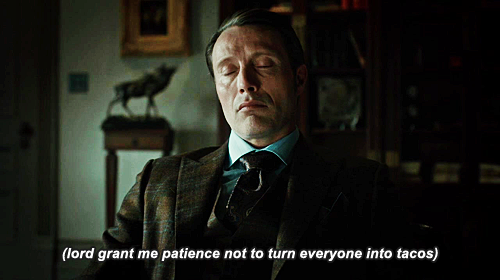 Prepare yourself, I'm gonna give you a spoiler of the characters' relationship: they kiss. Don't get me wrong, I didn't dislike the book just cause I didn't get something more than some kiss. The whole book revolves around their relationship. Their relationship is poorly written. Logically, this means the whole book is not that great to read. I was promised spaceships and all I got were a few descriptions of some sci-fi thingies and that's it. How can you do a science fiction book and not introduce HEAVY SCI-FI elements? Put some spaceships, some aliens even, weird experiments, SPACE. Even if this is New Adult and I get that the main focus should be on them, at least make their relationship so good that I won't notice that I have no idea about the world they live in. I couldn't care less about any of the characters. In fact, they were getting me more annoyed rather than me enjoying reading about them. Thank you for not being any longer. I enjoyed this book just enough to finish it but it really didn't keep my interest all that well. Both the main characters were plain in my opinion and there really wasn't anything within the storyline that pulled me into the story and made me believe that I was right there living this with these characters. The author did do a great job on the descriptions within the story but nothing stood out that made the characters stand out in my mind. Mags and Lex were friends who were going through the ac I enjoyed this book just enough to finish it but it really didn't keep my interest all that well. Both the main characters were plain in my opinion and there really wasn't anything within the storyline that pulled me into the story and made me believe that I was right there living this with these characters. The author did do a great job on the descriptions within the story but nothing stood out that made the characters stand out in my mind. Mags and Lex were friends who were going through the academy together but studying different aspects. Mags was vying for the ambassador job and Lex was going to boot camp somewhere totally different. Mags and Lex both had feelings for each other and always danced around the spark that was always between them until the last night before they left for different lives. You could tell how they felt about each other but making them wait until the night before they left each other didn't give the reader much of a chance to root for the relationship. More time on the characters feelings would have been better in my opinion. I feel they should have had the moment of realizing what the other one felt long before they did. The writing in Solid Ground was really well done. At no time did I ever feel my reading experience was disrupted or anything less than great. The grammar and whatnot was on point and just the style of how Katherine read was intriguing. Not to mention she deals with a topic that many face; regrets. And I think the debating of Mags over her regrets and what she would have changed is something that resonated deeply with me. Just that to I received a copy of this book in exchange for an honest review. Not to mention she deals with a topic that many face; regrets. And I think the debating of Mags over her regrets and what she would have changed is something that resonated deeply with me. Just that topic was enough for me to think back and find things to think about. It was painful and sad but a quick read. So the pain doesn't last as long as it could. But Katherine McIntyre has written a marvelous story.